R SQUARE DESIGN is the creation of Rebeca Diaz & Romina Ganoza, interior design professionals based in Miami, Fl. A home should be inspiring in every sense, and our objective is to deliver a timeless design with a unique striking interior. Our designs are elegant, functional, livable, comfortable, and most importantly, they reflect our client's vision in a harmonious way. We pride ourselves in our quality control and attention to detail is our most important principle. We are equipped with a solid group of multidisciplinary professionals for whom craftsmanship is also a passion and take pride in their work. At the end of the day, your home is being worked on by a team of talented people who care about the integrity of your home and love what they do. R Square fits in the Contemporary style definition. Individually, we have our own design preferences, but of course, at the end of the day the client is the muse. Rebeca Diaz, co-founder and Interior Designer. 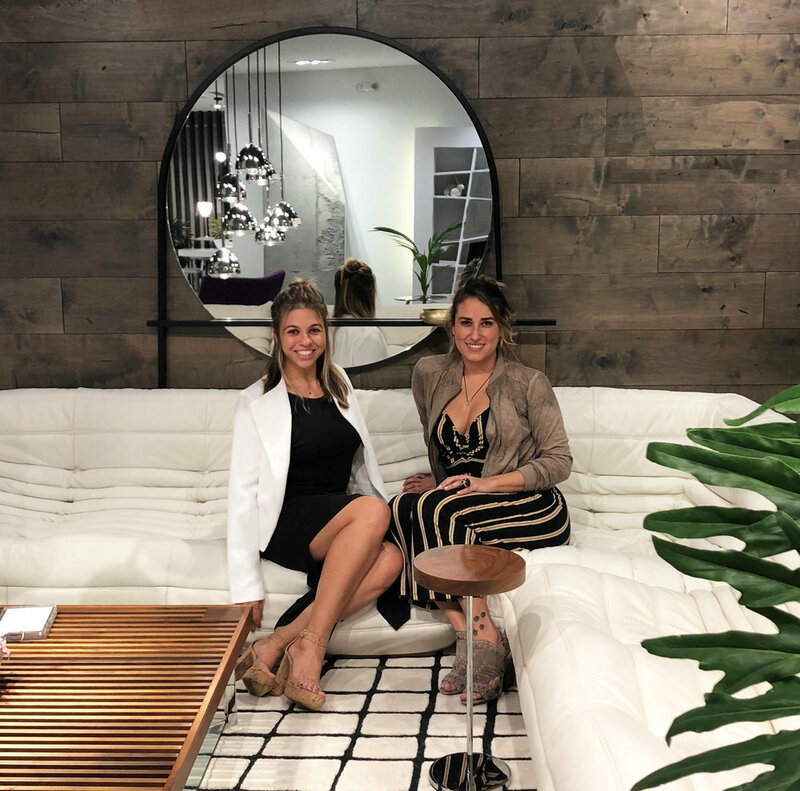 A graduate of FIU School of Architecture, Rebeca is an established interior designer having managed high-end residential and commercial design projects since 2008. Originally from Peru, she has brought a specialized touch in designing while adding an array of natural elements that embrace the environments and lifestyles of her clients. muted colors sometimes mixed with a surprising pop or unexpected element. She loves to bring in nature elements into her designs, and of course, lots of light. She's very detail oriented and very well organized, she loves to do check lists to keep herself and everyone else on track! When Rebeca is not designing you will probably find her at an art show, or checking out local fairs hunting for new finds to inspire her projects. Romina Ganoza, co-founder and Interior Designer. Romina studied interior design at the Miami International School of Art and Design. Her design career started during her university years, while studying, she worked part time at a custom cabinetry atelier. “I always had a passion for fine cabinetry, my family collected antique pieces and I enjoyed drawing all the intricate, overlay pieces.” She worked in high-end interior design and architecture firms in Miami for several years. In 2013, she ventured on her own and opened a successful custom cabinetry studio. “Custom furniture pieces are a great way to personalize a space. The furniture is usually large scale, so it has the power to impress.” Interior Design is a passion of hers, so she is very intricate when creating the concept for each client. “I always incorporate statement pieces. They are the gems of the home and bring a smile to the client every time they see it. It’s much fun finding a gem with a client, it’s a very special moment we share.” A yoga teacher and student, she enjoys joining both worlds by infusing projects with good energy by applying different design philosophies, such as Feng Shui, Wabi Sabi & Sacred Geometry. These philosophies promote and harness the flow of positive energy in the spaces.